We are the reliable IT support department for your London small business. Network Fish provides network, desktop, server & cloud support on all levels. Our team is based in London. We have senior engineers for Windows, Mac & Linux tablets, mobiles & servers. We respond within 5 minutes to all queries to our help desk. We can send someone to see you onsite within 2 hours. Our help desk ticketing system ensures everything you inquire about is followed up properly. A dedicated manager is assigned for your account to get the right person on the job for you. For over a decade, we’ve worked to develop highly collaborative client relationships. Read a little of what our clients have to say about us. Harris and Company are a London-based accountants firm who have been with Network Fish for their IT Support for a number of years. When they first became our customer, they needed to replace their old server with a new one which could host their accounts package and do other things like email, file sharing and backup. We provided them with a new server from Dell and Microsoft Small Business Server 2008 which they are still using to this day to run their business. Network Fish have managed Directory of Social Change’s IT for over 7 years. They have a complex infrastructure consisting of multiple web and database servers, datacentre colocation, two offices and site to site VPN tunnels with Cisco routers. DSC wanted to upgrade their Exchange 2003 server as its hardware was ageing and unreliable. As Microsoft provides free Office 365 licenses to non-profit organisations, we took this opportunity to migrate their whole email system to Exchange Online. As a result, DSC now have shrunk the number of servers that they manage, they have a reliable email system they can trust, and the whole thing doesn’t cost anything. We are currently in the process of decommissioning more servers, moving their file sharing to a cloud service and simplifying their IT even more. All of this is accomplished without buying a single server or having any large upfront costs. contract or on a pay as you go basis. Interested? Then please enter your details below to discuss your requirements in further detail. We ensure your IT systems and hardware is working while you do business. We are a sophisticated, fast IT support services company based in London with senior engineers for Windows, Mac, Linux, tablets, mobiles, servers and networks. We monitor all your servers, network equipment and computers with our state of the art monitoring system and we respond within 5 minutes to all helpdesk queries and we can even send someone to see you onsite within 2 hours anywhere in London. Our IT support helpdesk ticketing system ensures everything you inquire about is followed up properly. A dedicated manager for your IT support account is in place to ensure your IT support request is passed onto an engineer best qualified for the job. Network Fish provides IT support to more than 350 SMEs in London, Doha, Perth and Jakarta. We handle the day-to-day IT support services for these companies, ensuring that our support customers can focus on their work and leave their technical worries to us. With 15 years of experience and counting, we have learned that popular Cloud services, such as Microsoft’s Office 365, Dropbox for Business and Amazon’s Elastic Cloud are not very accessible for smaller businesses – the difficulties of migrating data and email systems to these providers can act as a technical barrier. We support you with all your cloud based service needs in London. Over three hundred and fifty businesses and 6000 staff like yours rely on Network Fish every day for smooth running of their businesses in London. And with our engineers bonuses relying on customer satisfaction service is a top focus. We can offer your office based staff 24/7, or standard help-desk support between 8am – 6pm as well as provide IT support to your home-office workers IT infrastructure under our standard contract. We identify problems before they become an issue. We continuously monitor your network, checking your back-up logs, Firewall status, service packs, security updates, our pro-active support check on network usage and best practices. 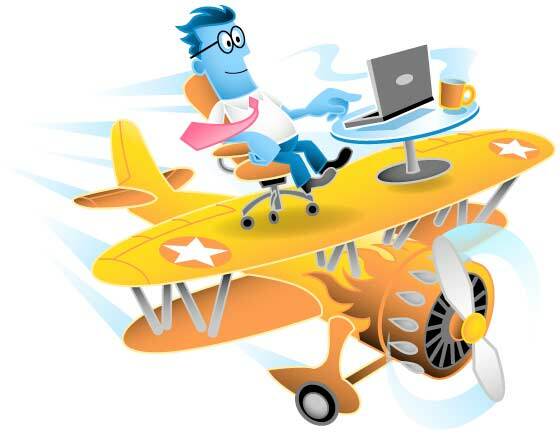 Need help flying through the IT cloud? • What is the support contact length, and how soon can we cancel? • Can I see a sample of the contract document? • Is there any small print we need to watch out for? • Do you support all software in our business? • So what do you support? • How do we report an issue? • How do I track the progress of my issue resolution? • How fast will you respond to our requests? • How can the helpdesk engineer help me if they are not in our office to see my computer? • Do you support Macs and Apple devices? • What can I do if my issue is not resolved or if I have a complaint? • How much does your service cost? • What does the IT support contract cost cover? • What are your working hours? • How many people work for Network Fish? • Where are you based? • How long have you operated, and what is your history? • Who is your director? Your Network Fish contract entails no long-term obligation. You can cancel any time with 30 days’ notice. Of course. You can download a copy of our IT support contract here. Our terms are very transparent, and there is no small print or hidden fees in the contract. We support your operating system, Microsoft Office, other commonly used programs such as Skype, your internet browser, printing, scanning, email and much more. We prefer to speak to your software vendor for specific third-party bespoke applications such as Sage, QuickBooks and other custom software. This ensures we provide the high level of service that your business deserves. We support all your computers, servers, network equipment, mobile devices, laptops and more. You can either contact us on our email address support@networkfish.com or call our hotline on +44 (0) 207 403 4031. Immediately after you get in touch, we create a support ticket in our helpdesk system, which is assigned to an engineer skilled in the area of your issue. He will then contact you either via email or phone to discuss your ticket and assist in resolving it. You can log in to the helpdesk with your own username and password to follow progress, or just watch your mailbox for any ticket updates. Within business hours our response SLA is 15 minutes, but we usually get back in touch much quicker – around the five minute mark. If your problem requires a field engineer visit to resolve it, they will be with you within 2 hours. The remote engineers use LogMeIn and TeamViewer to connect to your computer and use it as if they were in your office. This never happens without your permission. Our team has the necessary skillset to quickly and efficiently support all existing Apple devices including, iMac, iPhone, MacBook, MacBook Air, iPad, Time Machine, AirPort and others. In the unlikely event that your issue cannot be resolved by our team, we will contact the vendor of your software / hardware and work with them to quickly bring your case to a resolution. We are a Microsoft Silver Partner, which gives us fast access to the best technical team for all things Microsoft. Our close ties with Dell and HP technical support ensure that your computer can be looked at quickly by their field engineers if necessary. Should you wish to escalate your case further, or if you have a complaint, our office manager is here to assist and ensure that you are satisfied. Be advised that your complaints are treated confidentially and seen only by our management. However, should you wish to send an anonymous complaint, you can submit it to complaints@networkfish.com. You can either use our services with a monthly fixed fee, or on a pay as you go basis. Our IT support subscription contract cost is calculated from the number of computers, servers and sites you have and is billed monthly. Our pay as you go price for business working hours is £75 per hour. Our offices operate at full capacity from 9am to 5pm from Monday to Friday. During weekends and holidays, we have on-call engineers who can respond to your urgent requests. We have five field engineers, six remote engineers and two sales/accounts staff. Our office in North London is in Wood Green, and our remote helpdesk is based in Mezdra, Bulgaria. Our company was founded in 2002 by Julian and Jonathan, who have a passion for high-quality professional IT support. Since then, we have grown and earned the trust of many London-based and international customers. Our director is Dennis Dimitrov, who has been running the company since 2009. He has a strong technical background and understands business IT very well. In addition to his directorial duties, he also advises the engineers on more complex technical problems. He likes to work alongside the remote team on support tickets, so that he has better insight into our customers’ issues and how to improve our service. You can always email him directly on dd@networkfish.com if you have a question for him.